The whiff of freshy ground coffee, simply heaven-scent! Our Java Coffee liquid is the result of serious mixology trying to bring together the ultimate black coffee taste that would do a barista proud. It's perfect with coffee or as a morning vape. It's perfect as an all-day vape. 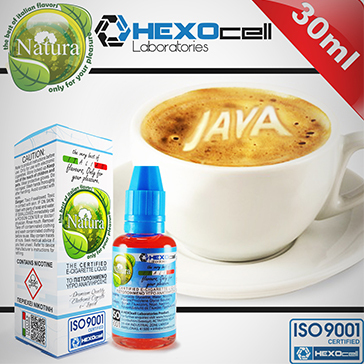 Java Coffee is perfect for all occasions with giant clouds of the whitest vapour you can imagine but that's not all. Java Coffee delivers a very impressive throat kick and vaporizes at incredibly accurate flavour transmission levels too!